I hate ingrown hairs. I'm pretty sure everyone does. Luckily the clever people at Tend Skin have designed the solution. Literally. 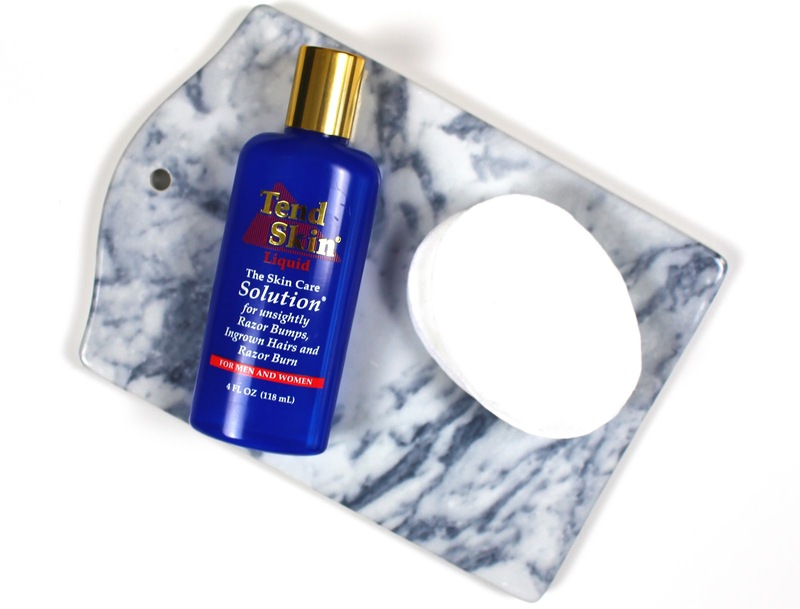 The Tend Skin Ingrown Hair Solution (£12.95-£35) is all kinds of awesome. Pour a small amount on a cotton pad, swipe it over the area once a day and just watch it work. I don't know or understand how it works but it does. The hairs that once grew under the skin, now grow above the skin, ready for removal. I like to use this solution after each hair removal session whether I shave or epilate and it can be used anywhere on the body. I mainly use it on my legs and a little goes a long way. It does have a scent which isn't really my favourite (it sort of smells like nail polish remover) but hey, if it does the job, I won't complain. I don't find that it leaves behind a residue per say, but you do feel like you've applied something. It's not a feeling that lasts and it doesn't feel too uncomfortable. I haven't experienced any stinging when I apply it either. I love this product and think it's absolutely genius. If you suffer from ingrown hairs, razor bumps or itchiness after hair removal, this might be the product for you. You can find it on feelunique.com and it comes in various sizes. What's your solution to ingrown hairs?